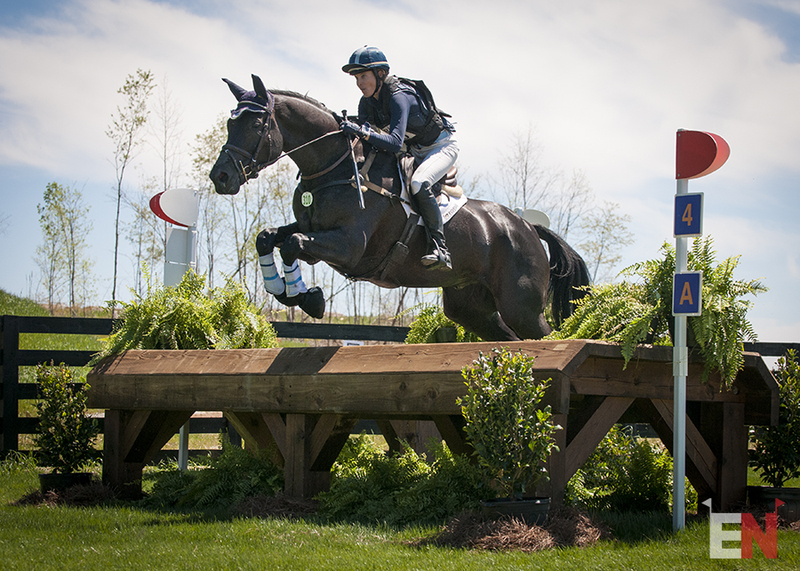 Valerie and “Faves” were coming off a third place finish in the Carolina International CIC* two weeks ago. “I love that track, I love the place, I know it really well. This was not quite that same thing … He made me confident because he wasn’t waffling at all. He has these big ears and they were pricked straight forward out of the box and that was a good feeling. Valerie feels Favian still needs to be stronger before moving up to Intermediate. She plans to aim for Bromont for a good education over Derek di Grazia’s course and hopefully move up later in the summer. The CIC3* and Advanced cross country gets underway at 10:30 a.m. tomorrow. There is no live streaming but we will be tweeting and bringing you as much up to the second information as possible. Click here to catch up on all of EN’s Coverage of The Fork so far and check out Instagram to see extra photos and find out what Chinch has been getting into. Thanks for reading! Go Eventing.